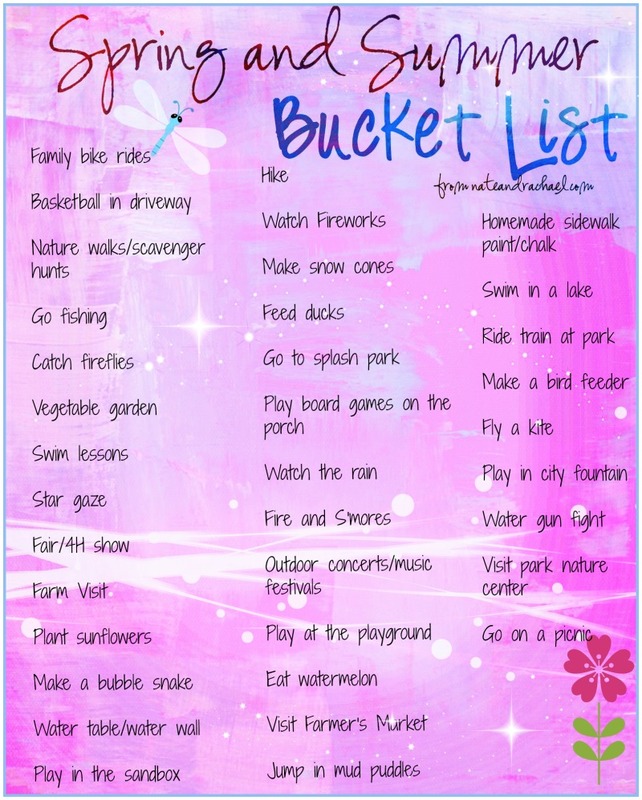 We were pretty good about enjoying everything on our Christmas Bucket List, so I thought we should do a warm weather list as well. Summer has always been my favorite season. And why not? More sunshine, vitamin D, bike rides, bubbles, lazy days, warm nights, sprinklers, campfires, ice cream, s’mores, watermelon, sparklers, mud puddles, mud pies, my birthday, outdoor photo sessions, summer vacation, fresh garden vegetables, baby animals, fireflies! These are some of the defining moments of childhood! Click, save, and print on cardstock or regular paper. (It looks fine in black and white too, if you’re an ink hoarder like me!) Ours is on the fridge so we are frequently reminded of the fun we have in store and can cross off ideas as we complete them! 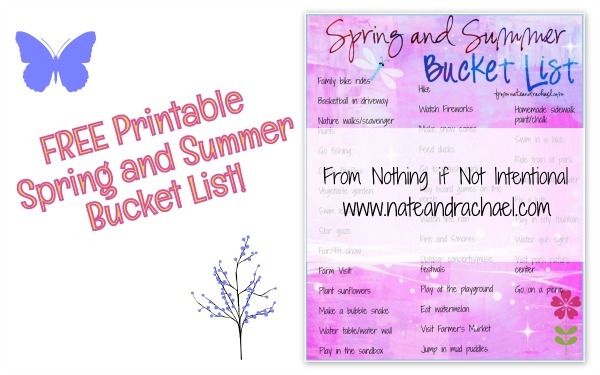 After you’ve looked at our list, I want to hear: what is your family doing this spring and summer? Is there anything we should add to our list? You can also find updates from us on pinterest. I’m slowly adding to my “Spring and Summer” Board. Check it out and follow along! Linking up at Stress-Free Sunday! I don’t have facebook… Is there any other way to download the pdf? Silly me! Why didn’t I think of that? I’m emailing it to you now! Great list, Rachael! Engineer and I are going to have to print this out soon. 🙂 Thanks for sharing at Stress-Free Sunday! I hope you’ll come by tomorrow and share some of your week’s favorite posts.